Meet the magical unicorn Rosie! 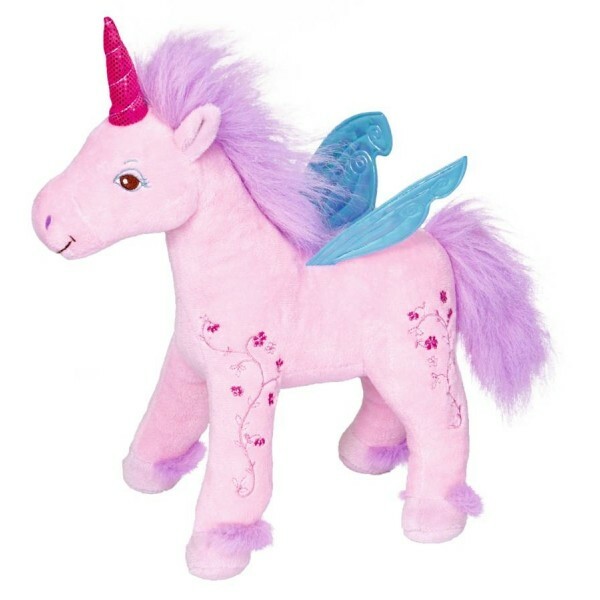 This gorgeous little unicorn would make an absolutely stunning addition to any little unicorn fan's room. Beautifully decorated with sweet flower embroidery on the legs and shiny wings. Perfect for cuddling, it's made from unbelievably soft plush velvet. Rosie encourages your little ones to use imaginative and creative play for many hours of magical fun. Guaranteed to look amazing in any bedroom or playroom.